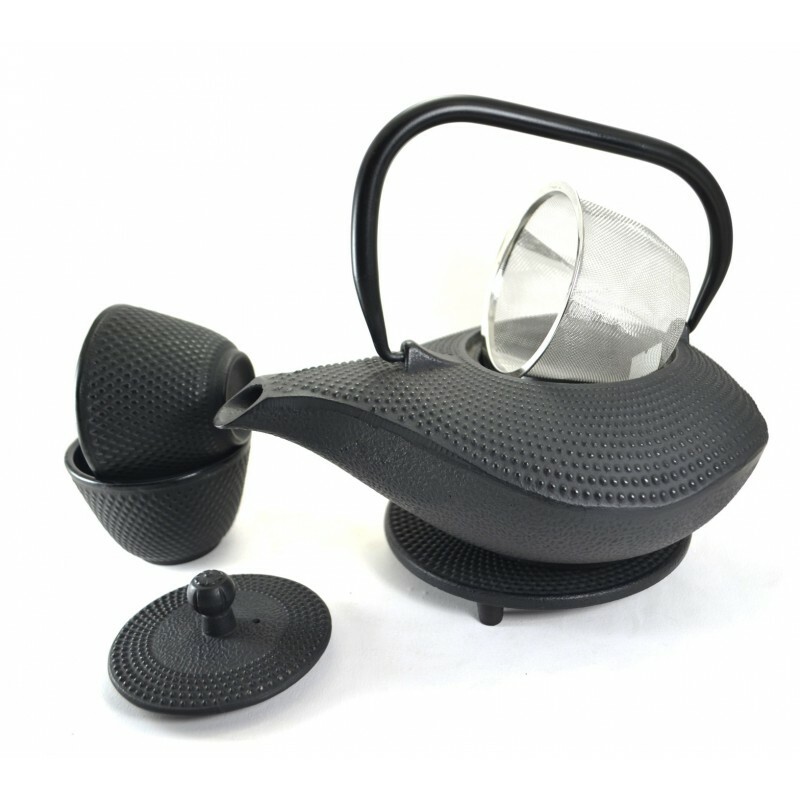 This black cast iron high quality tea set comes with a tea kettle, two cups. 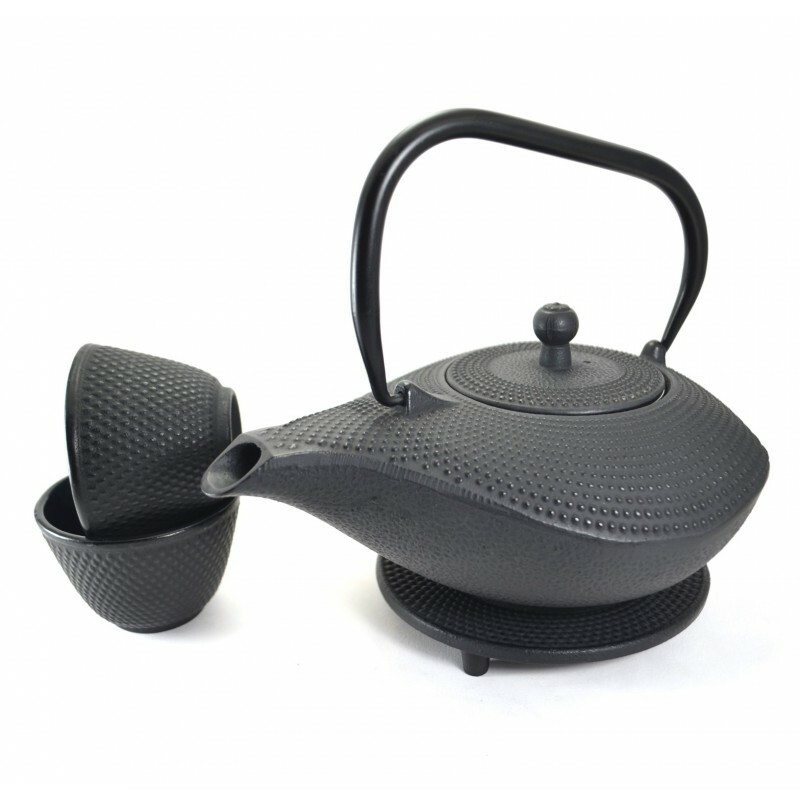 All of them are made of sturdy and dependable cast iron, which heats evenly and retains the heat so your tea stays hot longer. 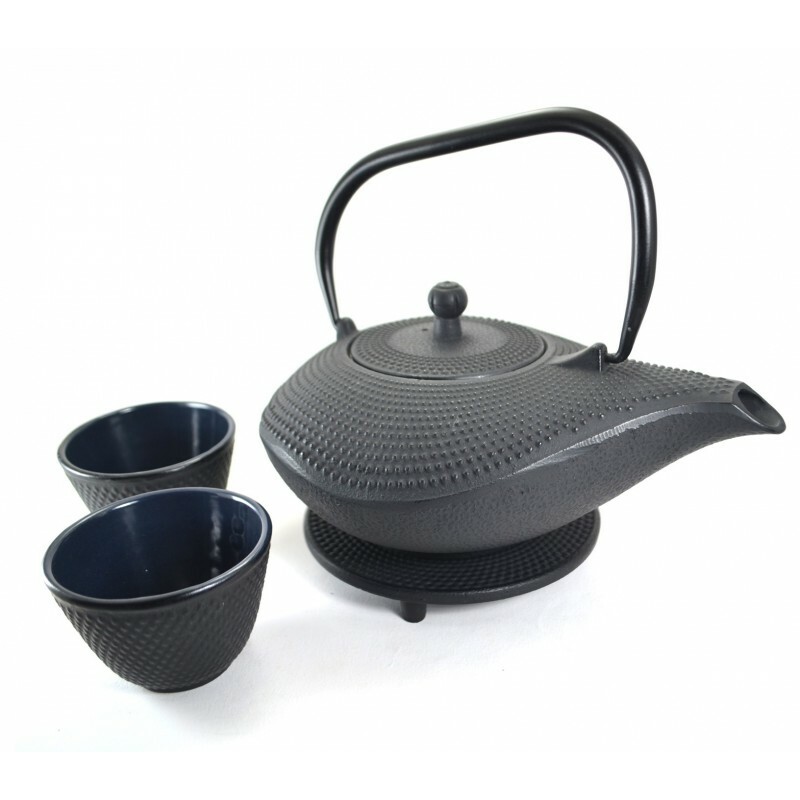 By buying this product you can collect up to 350 loyalty points. Your cart will total 350 loyalty points that can be converted into a voucher of ฿ 105.00.